The best strategies for survivability during an active shooter emergency taught by police officers, educators, and psychologists. You’ve probably seen one of the many videos of students, or heard it from a student you know, “I don’t feel safe at school anymore.” Teachers have echoed the sentiment. Parents have demanded new measures for safeguarding their children. Politicians, news commentators and educators have weighed in with a variety of suggested solutions, from arming teachers to installing metal detectors and restricting access to schools. Parkland students marched. 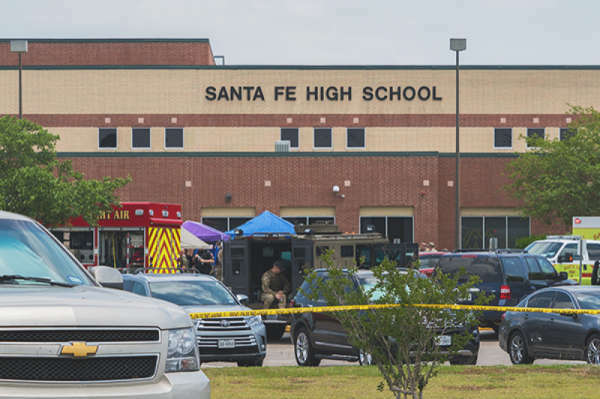 “It must not happen again!” Yet, 2 months and 4 days later, it did happen again, this time in Santa Fe, Texas. It’s no wonder people are afraid. From January through December of 2017, there were 17 deaths, and 21 injuries in school shootings (Homeland Security 2018). Four attacks (14%) were carried out at educational institutions including two elementary schools, one high school, and one university. According to Everytown, a non-profit organization monitoring gun violence in the U.S., from January through May 2018, there has been on average at least one shooting per week where someone was killed or injured at a school (from elementary through university). Although not all were students, these shootings resulted in 35 deaths, and 74 injuries. In addition to school shootings, in 2016 and 2017, there were 50 active shooter incidents in 21 states, with 221 killed and 722 wounded (United States Department of Justice 2018). As daunting as these statistics are, it is important to remember that each and every one of these numbers represent a life lost: a total of 256. In addition, nearly another one thousand lives were impacted with a physical injury, many of which were permanently disabling. The reports and the statistics fail to include the numerous lives that were traumatized by the terror of seeing friends, teachers, colleagues gunned down in front of them. This is not the total of lives lost or impacted since Columbine. This is just the toll for the last two years. Find a safe place to hide. This is an excellent strategy that has traditionally been taught as “lockdown”. But it is important to know when and how to hide appropriately. It depends on the situation. If the situation calls for a “lockdown” scenario, the single most effective way to keep intruders out is to lock the door, build a barricade, and hide quietly. Remember, a barricade is designed to keep people out, not necessarily to keep the door closed. It is quick and easy to do, and children as young as Kindergarten are able to effectively construct barricades with age-appropriate training. Escape and evacuate. It might be necessary to escape a room or building in certain scenarios, such as when the intruder has already gained access to an enclosed environment. Knowing evacuation routes beforehand is a great way to be prepared. When it comes to schools, it is important to remember that pulling the fire alarm during a violent intruder incident is NOT a good idea. Assailants have used fire alarms to draw students out of secure school buildings, and as trained in fire drills, students usually evacuate in orderly lines, making them an easier target. It is better to escape in various directions, then run to a safe hiding spot, as far away as possible. Even if students are scattered and temporarily unaccounted for, they will be located eventually and reunited with families when the scene is rendered safe. Run away in an unpredictable pattern: This is the best strategy when in an open space, such as a playground or gymnasium. But running from danger is far different than running for fun or in a track meet. While running in a straight line may be the fastest way to get to a destination, it is also much more predictable and therefore easier to target. Instead of running in a straight line, it’s best to run from danger in an unpredictable “zig zag” pattern. Always make sure to run away from danger to a safe place where you can hide. Fight back: This is a last-resort strategy and is intended to be used when trapped in a room with no way to escape or run. Younger children should not be encouraged to “fight” (for obvious reasons), but it’s important to teach children they can overcome an intruder by creating an environment of resistance, chaos, and disruption. Younger children can “overcome” by acting as a team to yell, scream, and throw objects at the intruder. Physically-capable adults and older students should attempt to fight back against the intruder by any means necessary. A fire extinguisher makes a great tool for overcoming an intruder (spraying of the repellant and use of the metal tank as a striking instrument). 80% of attempts to physically overcome active shooters have successfully ended the attack (United States Department of Justice 2018). And remember, the sooner an attack is suppressed, the fewer victims will harmed. Many people are under the impression that police can respond to active shooter incidents in a matter of seconds. Unfortunately, in certain areas (rural or heavily congested with traffic), it can take up to 18 minutes for officers to respond to a school shooting. On average, 2-3 lives are taken every minute an active shooter remains unchecked. If there is an armed police or security officer on campus, response times can be shortened significantly, but there is still the likelihood that lives will be lost while waiting for officers to make their way across the campus. In the meantime, it is important to be familiar with violence-survival strategies. You can use the aforementioned safety measures to dramatically increase your chances of surviving a violent event. Practicing and knowing these survivability concepts can make the difference between life and death. And by being prepared and knowing there are simple steps you can take, you will feel more empowered and less afraid. So, in addition to regulations, policies, securing sites, and armed officers both off and on campuses, let us arm our children, our teachers, and ourselves with knowledge, with strategies, with the assurance that we are not merely victims. We are armed with safe-thinking strategies. That’s true empowerment. Ahmed, Saeed, Walker, Christina, There has been, on average, 1 school shooting every week this year. CNN, May 18, 2018. Active Shooter Incidents in the United States in 2016 and 2017. United States Department of Justice. Federal Bureau of Investigation. April 2018. Mass Attacks in Public Places – 2017. Department of Homeland Security, United States Secret Service, National Threat Assessment Center, March 2018. Rodriguez, Max. Local School Districts Prepare Students for Violent Intruder Scenarios KMIR, May 1, 2018.